Platform Size 11" x 10.9"
Scale Size 12.6" x 14" x 2.4"
Digital Remote Display Tired of looking down at the floor to read your weights? 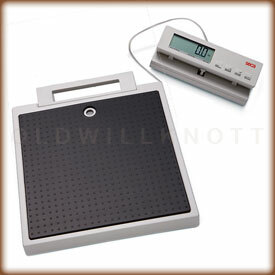 This Seca medical scale comes with a remote weight display you can easily mount to a wall or even on a table. When ya need to take this scale on the road with ya, the display mounts on the underside of the platform for easy transportation. Tare Feature The tare button on this sports scale can be pressed to "zero set" the weight on the scale. You can then add more weight, and the display will only show the weight of what you're adding. Leveling System To get the most accurate weight readings, it's important to use this scale on a level surface. Seca makes it easy to keep this floor scale nice and level by using the adjustable feet on the bottom of the scale and the liquid level bubble on the platform. This makes it possible to keep your scale level anywhere ya want to use it. Auto Off Feature When ya use this portable scale with battery power, the scale will automatically turn off after about twenty seconds of inactivity. This is gonna save you a lot of battery power, perfect for travel. Low Power Consumption Seca designed this health scale to be very economical. When ya run this scale with batteries, you'll be able to get up to 10,000 weight readings before ya have to change 'em out. Now, that's a whole lot of weighing if ya ask me. 2 YEAR MANUFACTURER'S WARRANTY! 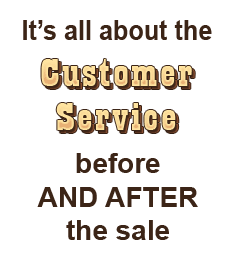 Seca offers a two year warranty against defects in materials and workmanship. In the rare case ya have a problem with this scale, contact Seca for a repair or replacement.